Working in diverse mediums including sculpture, carpentry, photography, drawing and painting, Andy Wallace’s process-oriented work sets up a stage for geometric, figurative imagery encoded with social commentary. His stylized renditions of the human form evolved from random experimentation and combining raw materials and mediums. Andy earned his B.F.A from California University East Bay in 2011. Since then he has shown work in various venues including the Oakland Convention Center in Oakland, CA, participated in a juried show at the De Young Museum with fellow college students. 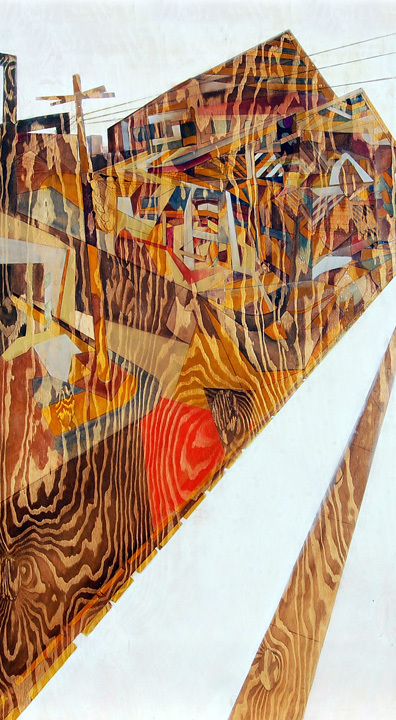 Wallace’s work has been included in solo and group exhibitions throughout San Jose including the Art Ark, KALEID Gallery, and various other venues. Today Andy maintains and struggles with continuing personal art while maintaining commercial demands as a display artist.